Isaac Tan the Pirate speaks! Ahoy! thar! Isaac Tan be here t' plunder your treaayes! Be aye t' have some treasures lyin' around for me, me bucko!! Make that double t' treasures and triple t' rums! Got that? If not, it's forgivable as I'm in the mood for some pirating! 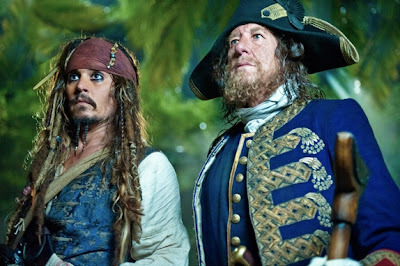 Come this May, another blockbuster movie will hit our cinemas like a storm, what else but the fourth installment of "Pirates of The Caribbean!". This round the title goes "Pirates of The Caribbean: On Stranger Tides". Being a pirate myself, let me educate all of you on what makes my profession one of the best there is. Yes, it is a profession mind you! I work for a living, pirates work hard, and play hard too! The top 3 things I can think off the top of my head that best describes myself being a pirate, hook and all are as below. 1. 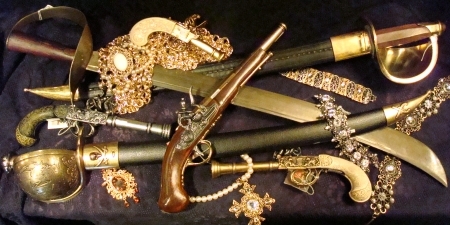 "I get t' play with all t' wonderful guns and daggers without bein' reprimanded. T' feelin' o' bein' all powerful be like an adrenaline rush through me veins!" What? All those beautiful guns? Yes! And like adrenaline, the feeling of going to war with these guns in my hands gives me unsurpassed pleasures! You can't blame a pirate from enjoying the pleasures of his guns. 2. 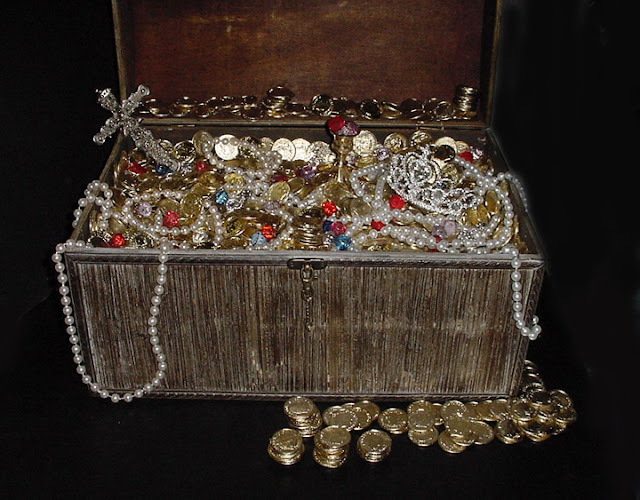 "All t' treasures in t' world shall be mind. Mine for t' takin', mine t' enjoy! 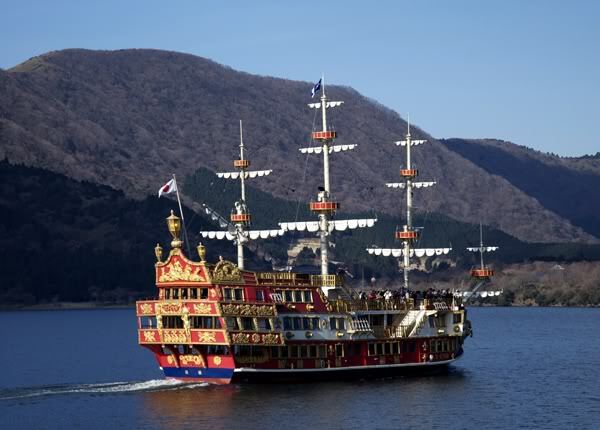 T' buy a ship, a country, 10 countries, all t' riches in t' world, mine t' enjoy! What can I say, money makes the world go round. And being a pirate means, free money! To plunder for riches, and enjoy it the moment I reach land, nothing comes close to this feeling. 3. "To travel from th' west to th' east, free as a bird. Nothin' t' hold me aft! Experiences o' a lifetime at t' sea! It has always been my lifetime dream to be able to explore the world! To have an experience of the lifetime traveling. Being a pirate brings these dreams to life. Don't let anything hold me back! My transport to see the world! That should sum up why I choose to live the life of a pirate such as what Jack Sparrows is living in "Pirates Of The Caribbean"! Nuffnang is currently holding a contest to win a pair of premiere screening tickets at this link. My fingers are crossed, so I may be able to catch this awesome movie this coming May! 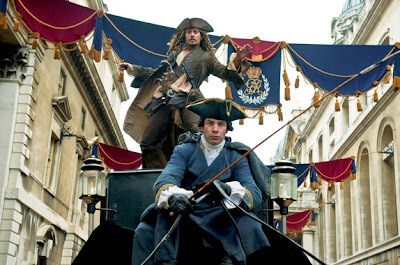 Do check out the trailer for Pirates Of The Caribbean: Stranger of Tides and some pictures from the movie below. And it's Jack Sparrows again! "Don't be messin' with Isaac t' pirate. Ahoy!! Thank you for readin' me post, may you have a great day!" Eli, Hehe, thanks!! good luck to you as well. May we all win and go watch together gether! My daughter's favourite... I did not even watch one. LOL!!! Don't like dirty people...wanna see clean clean ones. Hehehehehe!!! Good luck! i love this kind of story! Wish you luck mate! I like Johnny Depp ever since the scissor hand movie! wow..this is a very good review of the show.. great! Including you, I see myself surrounded my so many bloggers who are actually undercover pirates.. Ouch..
Wenn, the movie should be very nice!! You have a superb weekend too! Claire, it's more of a contest submission. If I am chosen, I would be able to get a pair of premiere tickets. Smallkucing, thank you very much!! Kyril, good luck to you too if you joint as well! Tony, I actually got a pirate translator website by googling it up. Lol. Good luck to you and me bro! Jemsen, yes! hope we'll win it together!